JM Roofing, Innovations, & Construction Plus Corp. Comment: There is a small leak at a water heater vent pipe flashing. I also have a small leak right at the eave where two roofs join. Comment: Our roof is about 25 years old and we feel like it needs to be replaced. We'd like a better grade of shingle this time. Comment: I'm in need of a complete re-roof and gutter replacement on my 1 story home. I had a bid done at $18,000, which seemed high. I'd like another estimate, and I'd like to discuss quality of materials that are used, warranties offered, etc. Thank you. Fayetteville Roofing Contractors are rated 4.61 out of 5 based on 208 reviews of 20 pros. 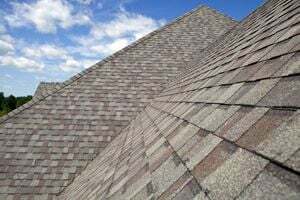 Not Looking for Roofing Contractors in Fayetteville, AR?